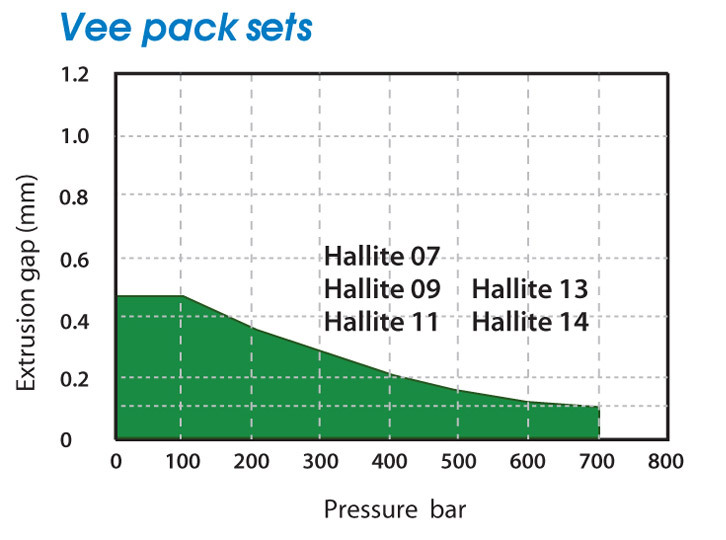 Hallite Seals’ product data sheets give information indicating the allowable extrusion gap a seal can see at pressure during its working life. The extrusion gap can be calculated using the tolerance build ups within the cylinder and any dilation that may occur under pressure. Maximum extrusion gap = F max (see drawing below). Minimum metal to metal clearance = F min (see drawing below). F min for cylinders with minimal side loading should be >0.1mm (0.004″). Ensure the F min is greater than 0.1mm (0.004″) and F max is less than the maximum extrusion gap stated on the seal data sheet at the application’s working pressure. For built-in metal bearings, the extrusion gap calculation is simpler. 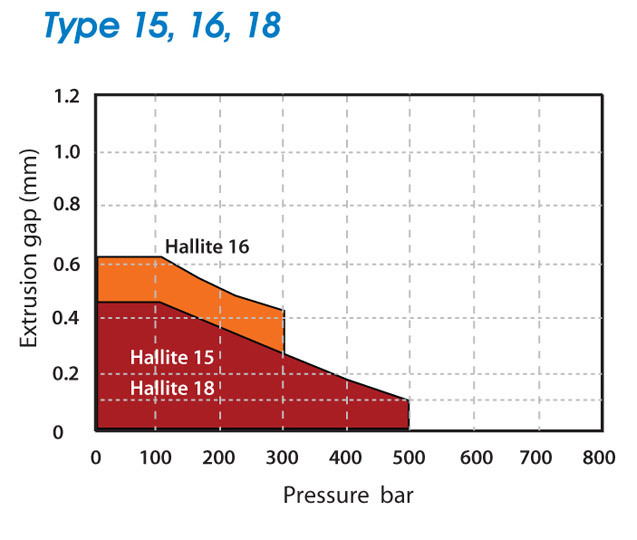 Extrusion is closely linked to pressure and temperature. In general, the best seal performance and life is provided by specifying the smallest possible extrusion gap. 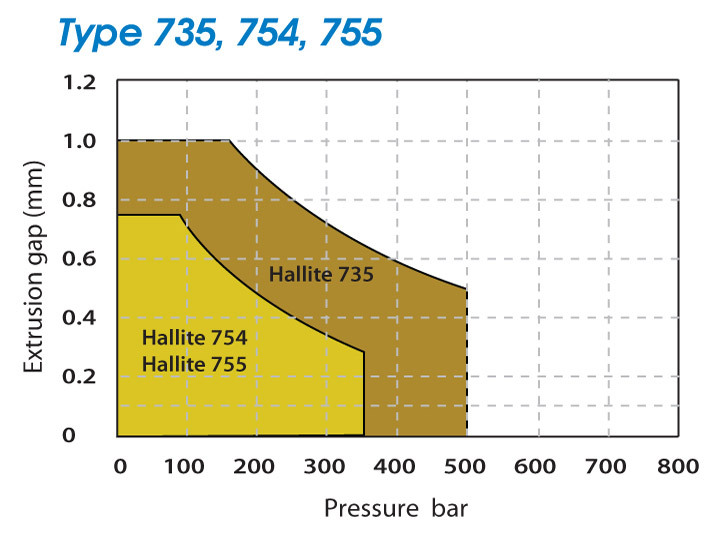 The figures shown for the extrusion gap within the operating conditions of Hallite’s product data sheets, relate to the maximum permissible, worst case situation with the gap all on one side. 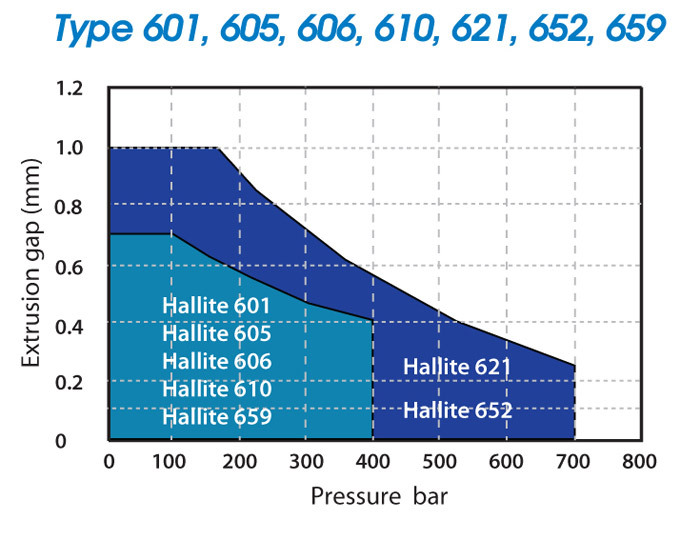 The use of remote bearing strips, such as Hallite 506, often creates a conflict between maximising the metal-to-metal clearance, to avoid metal-to-metal contact, and minimising the extrusion gap of the seal. The design decisions that have to be made in this respect are not trivial. 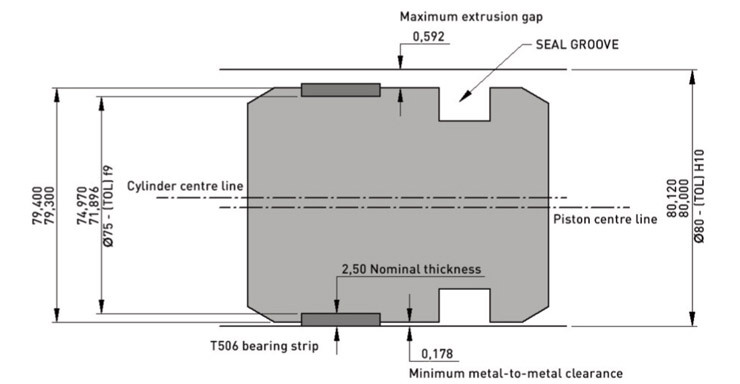 The following examples show the effects of looser and tighter tolerances on the minimum metal-to-metal clearance and the maximum extrusion gap. The values have been calculated using the housing design formulae. No allowance has been made for the deflection of the bearings under side load, and, in the case of the piston examples, for the cylinder dilation. 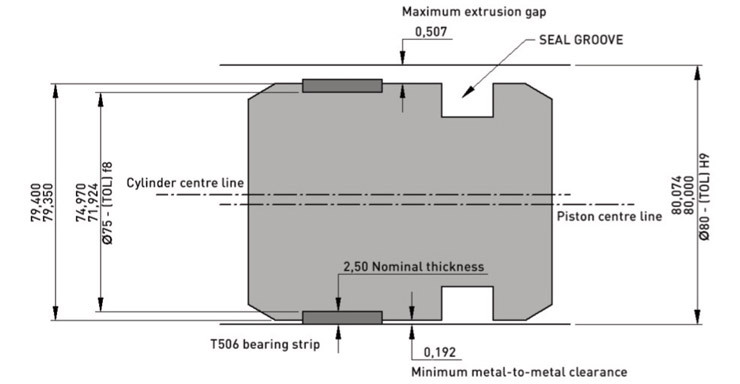 T506Piston for 80mm bore with tighter tolerances showingn that minimum metal-to-metal clearance can be increased and maximum extrusion gap reduced. Once the maximum extrusion gap has been calculated the correct seal can be specified with regard to the required operating pressure of the cylinder. For further advice, please contact Hallite Seals.